Choosing the right domain name for a website is not that simple. There is a number of subjective and objective choices that you have to make. If you have chosen well then the domain name will be the right one for your website. In this article, we will go through the important parts and give you our honest advice on the domain name search. Layman among us may ask why do we even need the domain name? Is it not enough to get a hosting service? No, it is not. Hosting is the service which enables your website content being served online 24/7 to the internet. However, for anyone to be able to find your website, they need to know its address on the internet. That is where a domain name steps-in. The domain name is the human-readable internet address for your website. In other words, when humans want to find your website they must type it in the address bar in the web browser. That means human visitors of your website will be identifying the domain name with your website. We can conclude that we need the domain name so internet users can find and visit again your website. What are the main features of a domain name? Accessibility – it provides an accessible online presence for you or your company. Branding – it helps promotes your brand or product. Authenticity – it furthers the plausibility of your service or product with product, service and contact information. Short – shorter domain names are usually better, one or two words and if you really can not avoid then three words at the most. One word domains hold the highest monetary value. On a side note, because they possess fewer letters the interested website visitors are less likely to make a typing error. Easy to remember – complex domain names are not good because they are not easy to remember. If you can, always go for one that is easy to type, easy to pronounce and easy to remember. Descriptive – a domain name that contains generic words which describe your website content will give users the initial idea of what your website is about and will contribute to the two points made before. No numbers and hyphens in the domain name – this will help avoid pronunciation errors and the issue of typing errors while improving the memorability of the domain name as well. Based on your business or industry niche, type of product or branding your website will sell, make an informed choice of a number of domains. These potentially great domain names then need to be checked for search volumes on specific keywords that are a part of the domain name. Avoid long domain names. One or two words are great, while three is still good. No numbers or hyphens in the domain name. We do not want to confuse visitors or incur typing errors. 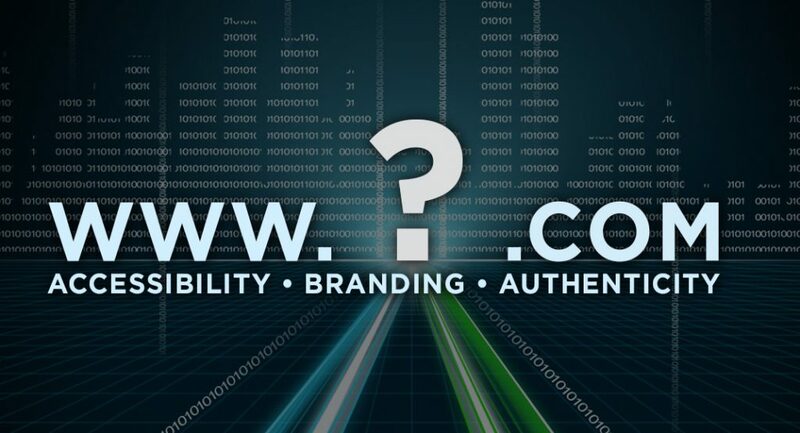 Ask these questions: Will the domain name be easy to read and pronounce? Will the website audience like that kind of domain name? What would it mean to them? Find out what kind of domain names is the competition using. Avoid trademarks and legal issues. A domain name that is too similar to a certain brand with a website in the same niche may be considered an act of infringement on a trademark which will cause significant legal issues. If you are still unsure about a domain name, check with professionals or at least consult a few members of the target audience. They may have better insight or give constructive feedback that can lead to better, meaningful branding. Avoid penalized domain names. It just may be that you have found an amazing domain name available for registration. Do not act on impulse and register right away. Instead, make a check for search engine penalties with that domain. It just may happen a previous owner used duplicate content, scam website or the domain name suffered SEO penalties for other reasons. For example, use IMWP (IsMyWebsitePenalized) a free service for website owners that offers to check if a website is penalized with Google. Domain Availability. This one is relatively easy. Most of the domain registrar companies provide a WHOIS search with their website which you can use to check if a certain domain name is available for registration. A domain name that fits your website perfectly might be already taken, especially with .COM domain extension so it is good to have a few alternative choices ready. Especially if your website is the main customer channel, for your social media presence you will want to use the same branding as your domain name. If the same social media branding is not available then it is altogether better to choose another domain name, than having to deal with later negative SEO impact. After all the brainstorming and consulting you have finally settled on an available domain name. Do not waste too much time sitting on your choice – make a purchase. While it may seem like a bad joke, many domain registrars run daily logs of their visitors domain name search. If you wait too long it just might happen someone else will register your chosen domain name and you end up right at the start. Online brand protection is something you may want to consider. In some cases, companies buy domain names that are similar or same to their domain name with other domain extensions, for the sole purpose of brand protection. There are no developed websites with these domain names or if they are keyword domains then they are used with a 301 redirect to the main website for added traffic. This will disable your competition from using them against your brand. IstanCo – renown country-code domain focused registrar with a large ccTLD portfolio. irIST – generic top-level domain and new domain focused registrar with fair pricing and no hidden cost with domain renewal or redemption. NameSilo – domain registrar with great prices and discounts for bulk registration. After all said and done, we can conclude that choosing the right domain name is not easy, and it is not impossible but it is a very important part of your journey on the road to your website success. Previous Post:What is the best and the cheapest registrar for a .press domain? Next Post:How to choose an evergreen domain name?